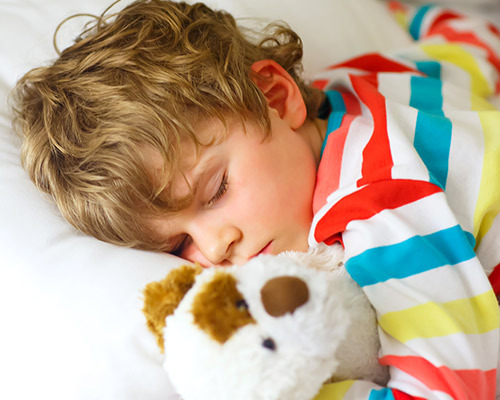 Nocturnal Enuresis, or Bed Wetting, is a complex problem that may be the result of many factors. One factor that can affect bed wetting is the disturbance of the phrenic reflex. When young children sleep, their respiration slows until increased levels of carbon dioxide trigger a breathing mechanism called the “phrenic reflex.” If the reflex is disturbed, carbon dioxide in the system becomes high. This in turn causes the involuntary muscles of the body to relax, including the opening at the bottom of the urinary bladder, allowing the urine in the bladder to be released. In some children, the phrenic reflex is slow to develop. But in others, the reflex may be disturbed by a vertebral subluxation, which can be corrected by your chiropractor. If your child is suffering the anguish of bed wetting, consider chiropractic care.